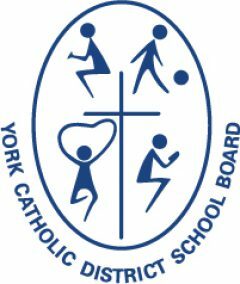 York Catholic District School Board provides English as a Second Language/English Literacy Development (ESL/ELD) Programs to assist English language learners from diverse linguistic and educational backgrounds in attaining English language proficiency. These programs help to maximize student learning, participation and integration. ESL/ELD programs are provided for newcomers from other countries as well as Canadian born students whose first language is a language other than English, or is a variety of English that is significantly different from the variety used for instruction in Ontario schools. Classroom/subject teachers adapt their programs to address English language learners’ different levels of proficiency in English and help these students adjust to a new linguistic, cultural, and educational environment. As well, most schools have a school-based or itinerant ESL/ELD teacher available to provide additional program support to English language learners. This support is provided on an in-class and/or withdrawal basis and on an individual or small group basis. Classroom/subject and ESL/ELD teachers work together to maximize student achievement and integration. Through this service, interpreters/translators are provided to assist board staff in communicating with parents/guardians and students who have limited English proficiency. As well, multilingual assessors are available to help board staff, in determining the programming needs of students with limited English proficiency who are experiencing difficulties. Multilingual assessors help gather more information by providing an academic assessment in the first language. Settlement Services through SEPYR (Settlement and Education Partnership in York Region) are provided to all schools for newcomer students and families. Settlement workers assist with the integration of newcomers into the community by helping families access community resources that support the settlement process. As well, they help to strengthen the partnership between the home and school.